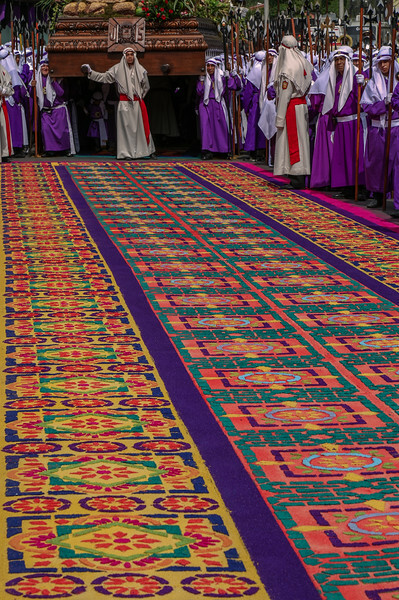 Alfombra La Merced. 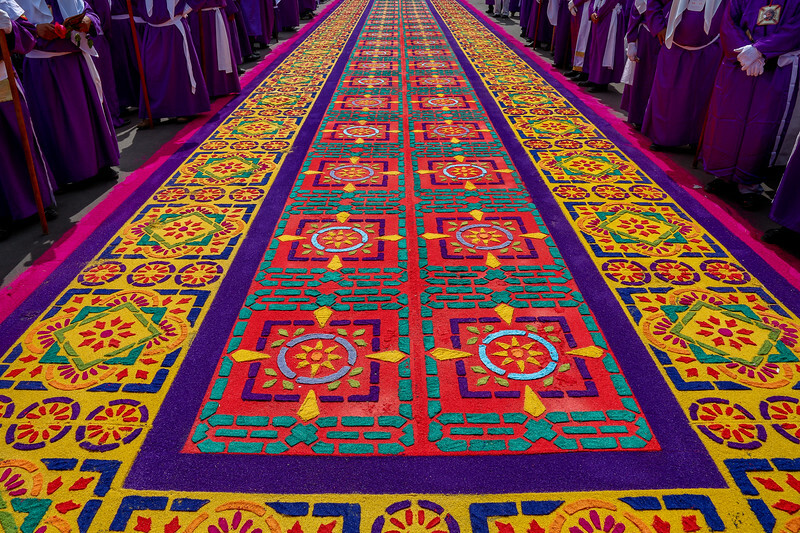 Traditional sawdust carpet and procession, celebrating the Holy Week in Antigua Guatemala, UNESCO World Heritage. 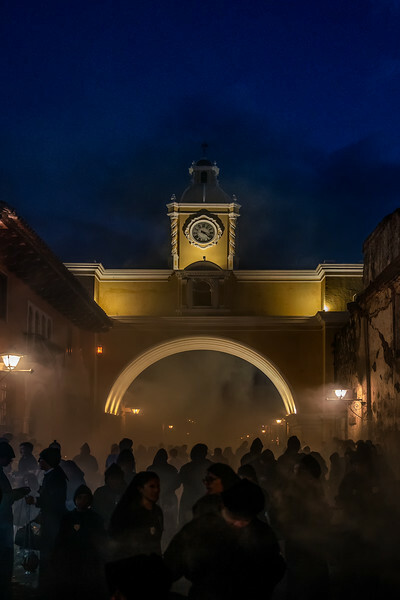 Velacion in Antigua. 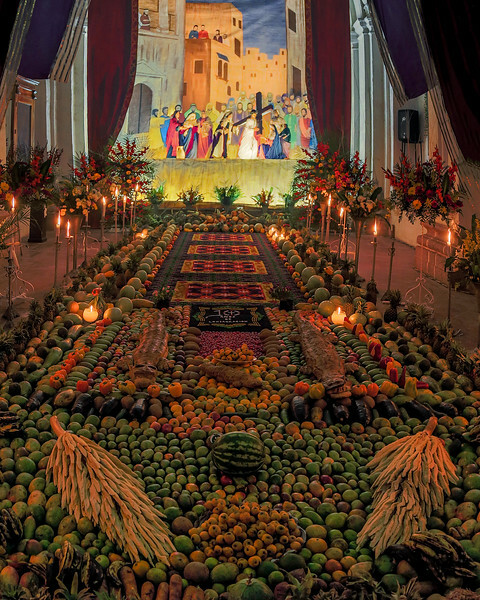 Altar with sandust carpets and fruits, synergie of mayan and spanish catholic traditions, to honor the image of Christ for the Lent and Holy Week festivities, Antigua Guatemala, UNESCO World Heritage. Shadows in Incense. 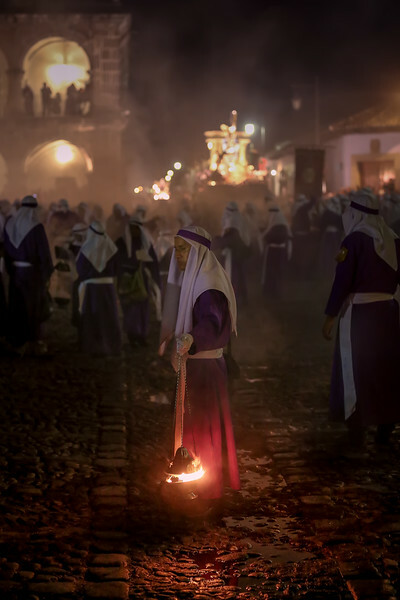 Lights and shadows blend at the blue hour evening of the day, when hundreds of penitents incense the path of the Virgin Mary in the Solitude Saturday celebration of the Holy Week. 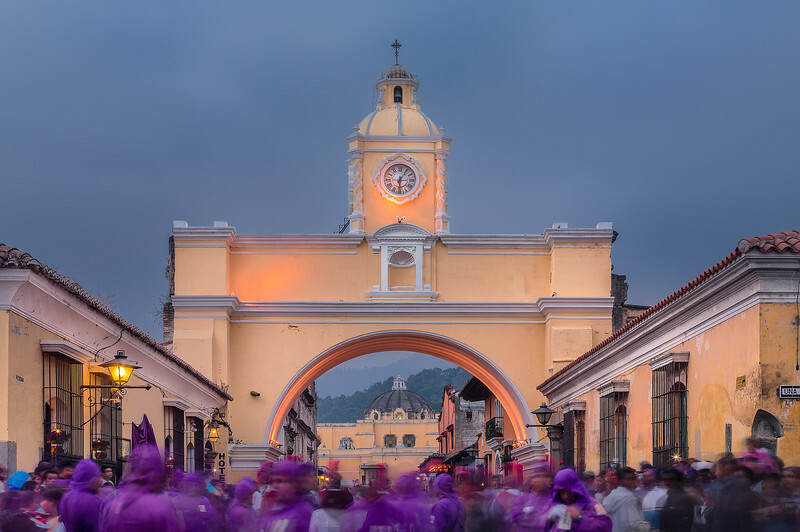 View through the Santa Catalina arc in Antigua Guatemala, UNESCO world heritage.